FREE FROM: GLUTEN, GRAINS, DAIRY & REFINED SUGAR. SPECIFIC CARBOHYDRATE DIET (SCD) & PALEO. Since starting the Specific Carbohydrate Diet (SCD), they are always ripe avocados in our house. They are such a great go-to food for when things are busy. Not only are they packed full of goodness and one of the world’s healthiest foods but they also pack a mean punch when it comes to calories. If you’re worried about losing too much weight from cutting out carbs, avocados may just become your best friend. Last week with an abundance of ripe avocados in the house (sometimes they just all ripen at the same time! 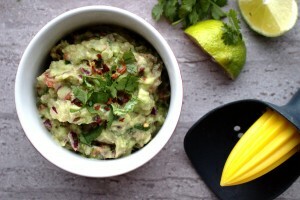 ), I decided to make some guacamole that the whole family would enjoy. I served it with smoked salmon and my delicious grain free crackers. 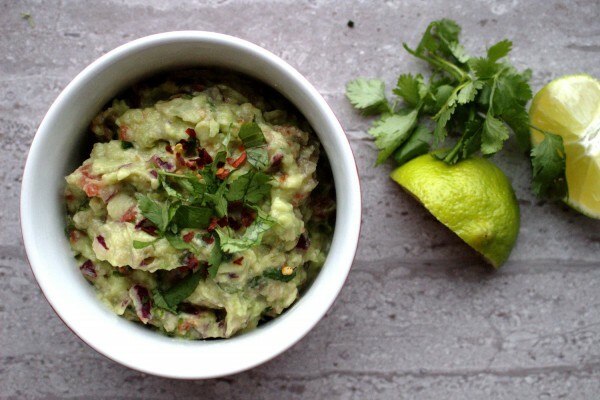 When it comes to guacamole, we like ours chunky and with a little kick but not too much. Feel free to add more red chilli flakes if you can handle them! A healthy and satisfying dip packed with goodness. Pairs perfectly with crackers. Cut the avocado and scoop out the flesh. Mash in a bowl with a fork and add the lime juice and a pinch sea salt right away to prevent it from browning. 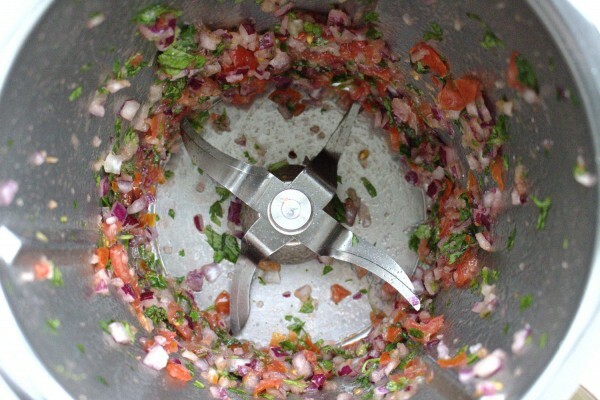 In a food processor, blitz the tomatoes, onion and coriander for a few seconds to break down. 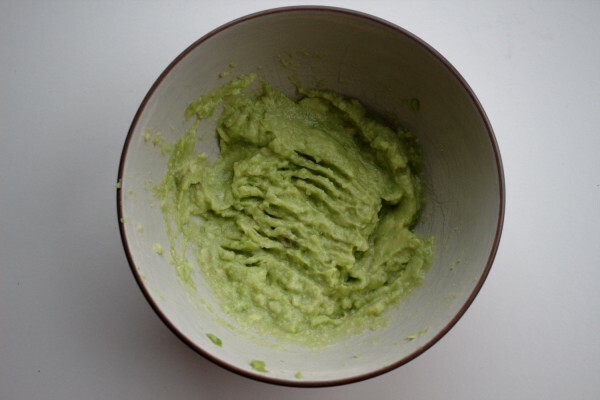 I like my guacamole chunky so I don't over-blend. 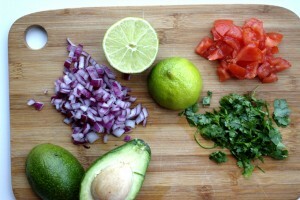 Fold the onion and tomato mixture into the avocado. Top with some extra fresh coriander leaves, an extra squeeze of lime juice and some red chilli flakes.